The root despot comes from the Greek word despotes, which means "master" or "one with power." The term has been used to describe many rulers and governments throughout history. It connoted the absolute authority and power exercised by the Pharaohs of Ancient Egypt, signified nobility in Byzantine courts, designated the rulers of Byzantine vassal states, and acted as a title for Byzantine Emperors. In this and other Greek or Greek influenced contexts, the term was used as an honorific rather than as a pejorative. Of all the ancient Greeks, Aristotle was perhaps the most influential promoter of the concept of oriental despotism. He passed this ideology to his student, Alexander the Great, who conquered Persia, which at the time was ruled by the despotic Darius III, the last king of the Achaemenid dynasty. Aristotle asserted that oriental despotism was not based on force, but on consent. Hence, fear could not be said to be its motivating force, but rather the servile nature of those enslaved, which would feed upon the power of the despot master. Within ancient Greek society, every Greek man was free and capable of holding office; both able to rule and be ruled. In contrast, among the barbarians, all were slaves by nature. Another difference Aristotle espoused was based on climates. He observed that the peoples of cold countries, especially those of Europe, were full of spirit but deficient in skill and intelligence, and that the peoples of Asia, although endowed with skill and intelligence, were deficient in spirit and hence were subjected to slavery. Possessing both spirit and intelligence, the Greeks were free to govern all other peoples. For the historian Herodotus, it was the way of the Orient to be ruled by autocrats and, even though Oriental, the character faults of despots were no more pronounced than the ordinary man's, though given to much greater opportunity for indulgence. The story of Croesus of Lydia exemplifies this. Leading up to Alexander's expansion into Asia, most Greeks were repelled by the Oriental notion of a sun-king, and the divine law that Oriental societies accepted. Herodotus's version of history advocated a society where men became free when they consented lawfully to the social contract of their respective city-state. The word itself seems to have been coined by the opponents of Louis XIV of France in the 1690s, who applied the term despotisme to describe their monarch's somewhat free exercise of power. The word is ultimately Greek in origin, and in ancient Greek usage, a despot (despótès) was technically a master who ruled in a household over those who were slaves or servants by nature. However, in enlightened absolutism (also known as benevolent despotism), which came to prominence in 18th century Europe, absolute monarchs used their authority to institute a number of reforms in the political systems and societies of their countries. This movement was quite probably triggered by the ideas of the Age of Enlightenment. Although the word has a pejorative meaning nowadays, it was once a legitimate title of office in the Byzantine Empire. Just as the word Byzantine is often used in a pejorative way, so the word despot now has equally negative connotations. In fact, Despot was an Imperial title, first used under Manuel I Komnenos (1143–1180) who created it for his appointed heir Alexius-Béla. According to Gyula Moravcsik, this title was a simple translation of Béla's Hungarian title úr, but other historians believe it comes from the ancient Greek despotes (literally, the master). In the Orthodox Liturgy, if celebrated in Greek, the priest is addressed by the deacon as Despot even today. The United States Declaration of Independence accused the British government of "a long train of abuses and usurpations, pursuing invariably the same Object, evinc[ing] a design to reduce [the people] under absolute Despotism". According to Montesquieu, the difference between absolute monarchy and despotism is that in the case of the monarchy, a single person governs with absolute power by fixed and established laws, whereas a despot governs by his or her own will and caprice. ^ Despotism. archive.org (film documentary). Prelinger Archives. 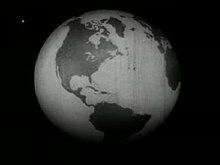 Chicago, IL: Encyclopædia Britannica, Inc. 1946. OCLC 6325325. Retrieved 2015-01-27. ^ Pop, Vox (2007-09-29). "Are dictators ever good?". the Guardian. ^ "The definition of despotism". dictionary.com. Retrieved 15 August 2016. ^ Boesche, Roger (1990). "Fearing Monarchs and Merchants: Montesquieu's Two Theories of Despotism". The Western Political Quarterly. 43 (4): 741–61. doi:10.1177/106591299004300405. JSTOR 448734. ^ Montesquieu, "The Spirit of Laws", Book II, 1.